COVER REVEAL: The Disaster Days by Rebecca Behrens + GIVEAWAY! | YAYOMG! COVER REVEAL: The Disaster Days by Rebecca Behrens + GIVEAWAY! Everything is about to change for Hannah Steele. Taking on babysitting jobs is a great way to make some extra money and show your parents how responsible you are. Lots of kids help babysit their siblings and neighbors, but most don’t have to protect the kids they are babysitting during a devastating natural disaster! In The Disaster Days the upcoming novel from Rebecca Behrens, Hannah is forced into survival mode as the serene, peaceful Pelling Island is shaken up by an earthquake. Rebecca Behrens is one of our favorite authors, so when she asked us to do the cover reveal for her new novel we were honored. We are big fans of her previous books, The Last Grand Adventure, The Summer of Lost and Found, and When Audrey Met Alice. 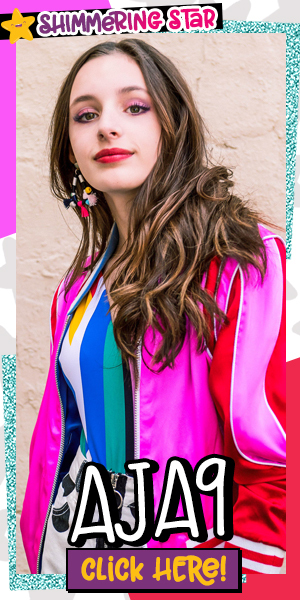 Her books always feature amazing young women learning about themselves and the world around them, but she’s taking things one step further in this exciting new story. Before we show off the cover, we have some exciting news! 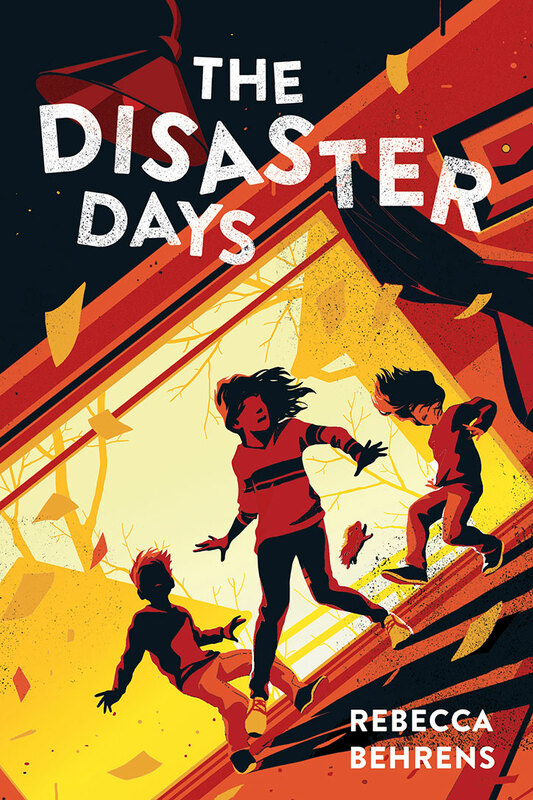 We’ve teamed up with Rebecca to give away a Disaster Days themed prize pack. 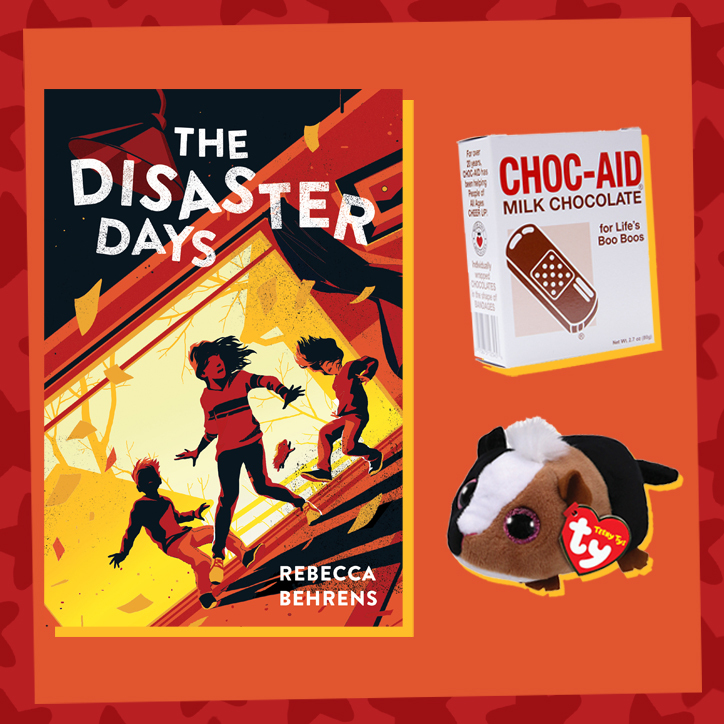 One lucky winner will receive an ARC of The Disaster Days, signed by the author, a package of chocolate bandages, and a stuffed guinea pig! Head to the bottom of the post to enter, but don’t forget to stop and peep the cover first! 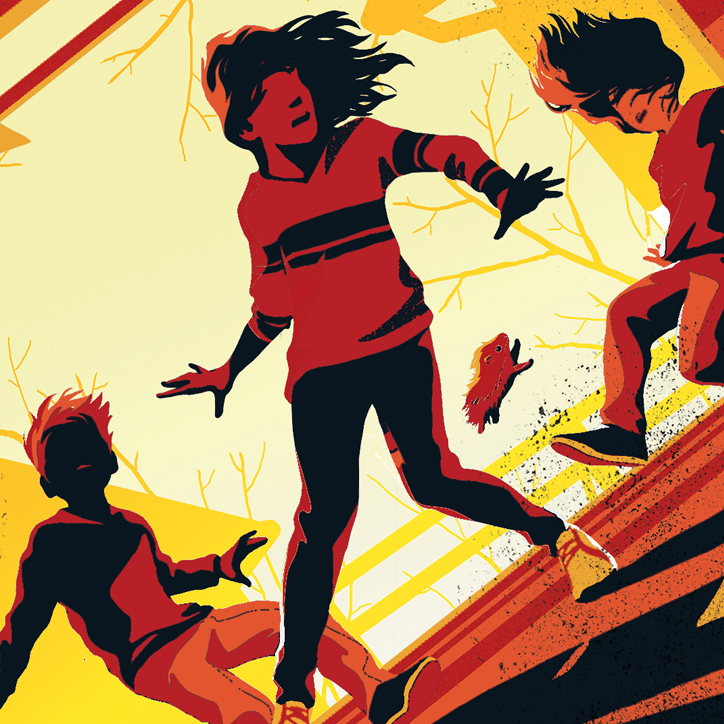 Hatchet meets The Babysitters Club in this epic and thrilling survival story about pushing oneself to the limit in the face of a crisis. Hannah Steele loves living on Pelling, a tiny island near Seattle. It’s a little disconnected from the outside world, but she’s always felt completely safe there. Which is why when she’s asked one day to babysit after school, she thinks it’s no big deal. The terrifying earthquake only lasts four minutes but it changes everything, damaging the house, knocking out the power, and making cell service nonexistent. Even worse, the ferry and the bridge connecting the kids to help—and their parents—are both blocked. Which means they’re stranded and alone, as things go from bad to unimaginable. How incredible is this cover? 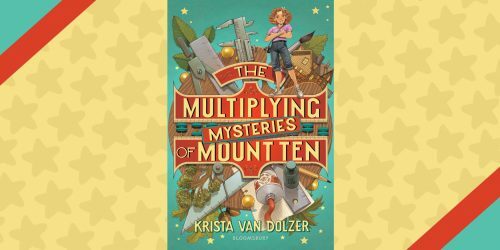 It perfectly captures the feeling of emergency, earthquakes, and life-changing adventure that Hannah and the Matlock kids are about to experience. 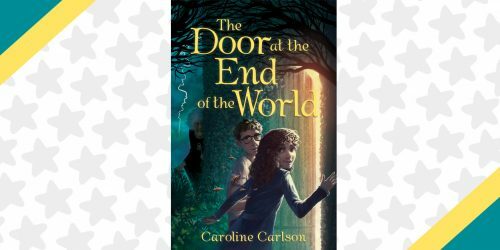 We can’t wait to dive into this story when it releases from Sourcebooks Young Readers on October 1st! 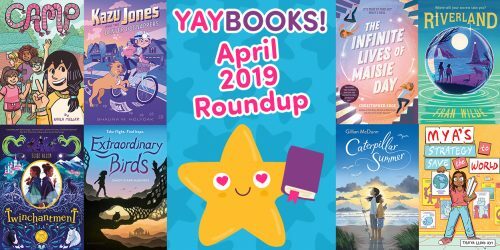 Author Rebecca Behrens wanted to give YAYOMG! readers an extra special peek into the book, so she shared an exclusive passage introducing her main character, Hannah, and providing a glimpse into her mind as her story begins to unfold. I thought I was prepared for this babysitting gig. I’d taken the official babysitting course, with my best friend, Neha. She has a lot of experience taking care of younger cousins, so she’d given me all her pro tips, too. In my notebook, I’d scribbled down the most important instructions that our instructor, Mrs. Pinales, had shared. Like to always have the parents’ contact numbers on hand, and to never try to handle things on your own in case of emergency. I had ideas of snacks we could make and games we could play outside, assuming it wasn’t raining (we do live on an island across from Seattle, after all). And my mom was only a text away. After all, the Matlock kids (Zoe and Oscar) are my next-door neighbors—although our houses are a super-long walk apart. Still, I was a little nervous. This was only my second time ever babysitting—and it’s the first time Ms. Matlock left me in charge while she went off the island. Even though I was prepared, I made a few little mistakes. First, I forgot my rescue inhaler at home. Then I kind of didn’t follow Ms. Matlock’s rules about screen time—and when I got into a text fight with Neha, I sent her a message I really regret. None of those hiccups would’ve led to an actual disaster. But then the shaking started . . .
Four minutes later, our world was turned upside down—literally. The house rumbled and everything smashed around us as we—me, Zoe, Oscar, and Jupiter the guinea pig—cowered under the dining room table. When it was over, we were all alone, in a shaken and shattered house, in the dark. Ms. Matlock wasn’t going to make it home anytime soon. Neither was my mom. One of us was bleeding. All of us were terrified. And I was in charge. Grab a parent or guardian and have them fill out the form below by April 12, 2019, at 11:59 pm ET. Giveaway runs from 3/29/19 at 10:30 am ET through 4/12/19 at 11:59 pm ET. Open to US residents ONLY. Be sure to read the fully detailed rules HERE before entering. While you wait to see if you’ve won, why not enter to win even more reads? We’re giving away a copy of Focused by Alyson Gerber, a story of a 12 year old girl trying to balance her ADHD and her love of chess.